PSD to HTML5 is one of the most admired techniques when it comes to developing a website. Owing to this, there are some best practices that have been followed for a flawless website creation process. 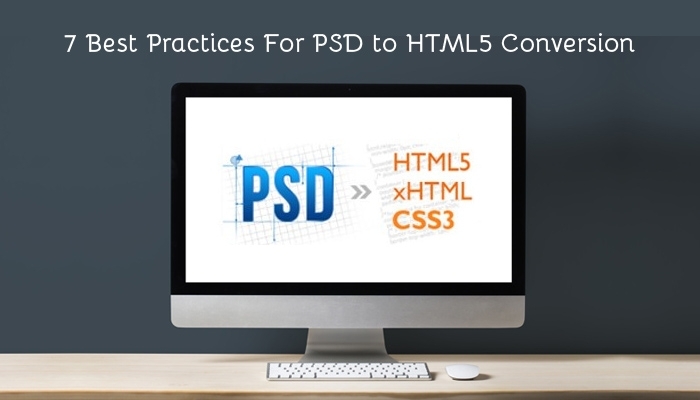 Read on to find out the best practices for the PSD to HTML5 conversion. The PSD to HTML5 conversion is one of the important processes that provides a strong foundation for your website development process. It is a systematic workflow that ultimately leads to a result that is par excellence. An innate knowledge of codes is essential to carry out the conversion process. Apart from this, there are a few things that you need to be aware of before you begin with the conversion process. Today, let me walk you through some of the best practices that will mentor you to create an authentic website. Here are some of the best practices that will ace up the quality of PSD to HTML5 responsive services. Read on to find out. The world of technology has progressed to make our lives easy. But, when it comes to converting the design files to HTML5, it has numerous automatic converting tools that would make the conversion process easy. Owing to this, there are people who are tempted to go with the automatic converter. Nevertheless, manual coding is strongly recommended as it is one of the best practices to convert PSD to HTML5. With manual coding, you can lay your hands on a pixel perfect and clean website. Moreover, when you have manually coded you know where to look for in case you are required to solve an error. This would consequently reduce your work burden. Be generous when you are using the semantic HTML tags. When you are converting the designs it becomes extremely essential to make the best use of all the SEO semantic codes. This will ensure that your website has well-formatted markup, contributing to the website's level of quality. Validating your website with the W3C(World Wide Web Consortium) standards is another important practice that when followed will give you a good web solution. When you have a W3C validated website you make way for a technically sound website. If you do not get the codes validated then you might come across websites that are filled with errors and or less online recognition. Hence, when you are converting the files make sure that you validate the codes with the W3C standards. It is advisable to make the best use of advanced jQuery and jQuery UI solution for converting the files. This is one of the best practices which, when followed, will help you in executing simple tasks. It is best to make use of these solutions when you are converting the sliced PSD file to an HTML coded website. Images pull in a lot of time if they are not compressed or well-optimized. This will pull down the performance of your website. To avoid this, it is necessary to optimize all your images or get them properly compressed so that it does not eat up the performance of your website by taking a lot more time than required for loading. When your website can be accessed across all possible browsers you get to invite a large set of audience for your website. When you are developing a website by converting the sliced PSD files to HTML5 make sure to check the browser compatibility of your website. This will not only provide you with a wider set of audience but will also contribute to the website's performance. Testing and validating the website before it is deployed is one of the most important steps that should not be avoided. 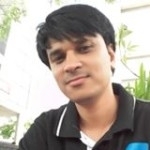 It helps in creating a website that is clean and free from all errors. Do not forget to take into consideration real-time testing so that you can get an idea about the website's authenticity. Above-mentioned are some of the best practices for the PSD to HTML5 Conversion Services which will effectively guide you through the conversion process. These practices when followed will help you in the proper conversion of the design files to the HTML codes, making way for a well-structured website.